After using Spamcop for years, I've changed my email setup and now can't get it to work. A few months ago, I switched from hosted POP mail on a VPS to Outlook365 Exchange email. 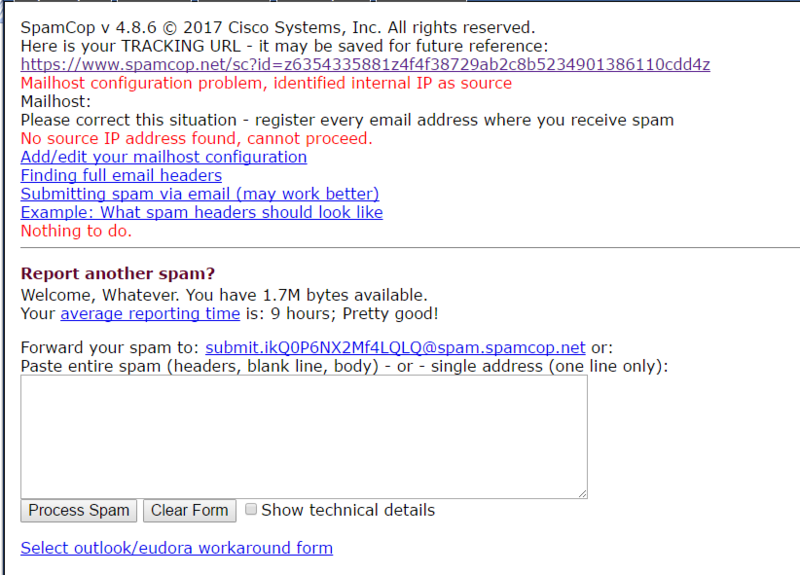 I know how to get the full headers - which are HUGE, but the originating IP is easy to find - but when I paste them with the email body into a Spamcop report, I get a message saying that it has identified the spam as having an "internal IP source", and "no source IP found". Screenshot below. The issue appears to be that the first line of the Exchange header does NOT include the originating IP. It's further down. I'm attaching the beginning of the headers for a recent spam, and you can see that the originating IP is 103.246.249.41, but that's found further down. SO... I still want to use Spamcop, but how do I do it when the start of my headers look like this^^?? 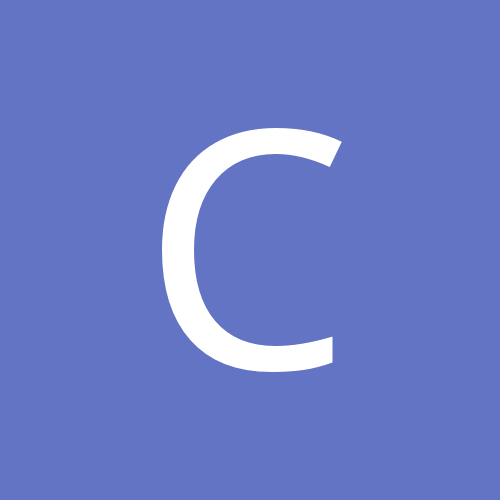 Have you updated your mailhost configuration for your Spamcop reporting account? Yay! That was the problem. Stupidly didn't even think of it, as I had thought it was my email addresses (not server) that needed to be registered, and those hadn't changed. Can I mark this resolved then? Yes. Thank you very much for your help.